© 2010 by Alyssa Davis all rights reserved; content may not be copied, rewritten, or republished without written permission. Many child-friendly themes are based on or derived from cartoon characters and primary colors, which are quickly outgrown. Before you know it, your little one has grown out of the character or color palette, and you wind up redecorating the playroom or family room to suit their changing tastes. Instead of decor that quickly fades from favorite to most avoided, choose a music inspired room for children to play, learn, and grow in. 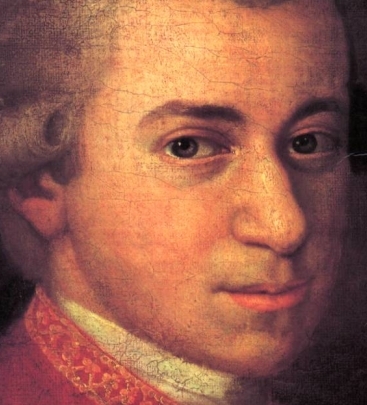 Finding inspiration can be as simple as todays child-friendly pop stars, from Miley Cyrus to the Jonas Brothers, or classics like Mozart and Beethoven. You could use actual musician-inspired themes or let the music itself be the theme, decorating with music notes and sheet music-inspired accessories. Your children can be great sounding boards for a music inspired room that suits their individual tastes. There are many design options that appeal to both genders, but it can be a lot of fun to create a music themed room that appeals to your particular child. For instance, if you have a boy, then a room that is based on what he likes will likely be received better than one created with both boys and girls in mind. However, if you are adopting a child, or fostering children, the unisex theme can be a great way to start, and you can let them add personal creative touches to complete the look. For boys, consider age-appropriate bands or singers for the decor, such as posters, framed prints, and so on. Use neutrals for the walls, and colors for the bed linens that match the accessories. Girls tend to gravitate toward popular girl pop singers, but most also appreciate boy bands that are trendy. For a more unisex theme, choose the classic music motif, or simple notes and scales. You can allow the child to fill in the blanks with musicians or bands that appeal to him or her. Just like any other decor, youll need accessories that complete the look you are hoping to achieve. There are many different items that you can use for your music inspired room for children, from framed prints of musical notes to sheet music enlarged to create unique posters. You could also choose bands, musicians, songwriters, and characters from childrens music to create accessories. Another great idea is to use things associated with music in your decor. CD and album shapes make interesting headboards when cut in half, and music notes are cute on framed mirrors. Some retailers offer music-inspired accessories, from bookends to bedposts, depending on where you look and how much room you have in your interior decorating budget. Auction websites like eBay are another great idea, where you can find almost anything for sale somewhere in the world. Creating a music-inspired room for children can be a lot of fun for everyone involved, and it costs less than most other decor options when you consider that a lot of age-appropriate themes will need to be replaced in six months to a year. Alyssa Davis is the top writer and creative design specialist for Metal-Wall-Art.com. She specializes in designing with metal wall candle holder and dragonfly metal wall hangings.